While EA was the first to bring a game subscription service to the Xbox One with EA Access, Microsoft kicked it up a notch last year with the Xbox Game Pass. While EA was the first to bring a game subscription service to the Xbox One with EA Access, Microsoft kicked it up a notch last year with the Xbox Game Pass. Just in time for E3 2018, Amazon is offering 50% off a six-month Xbox Game Pass, bringing the price down to $29.99USD which is a pretty fantastic deal considering some of the games currently in the service. In case you’re unaware of what the Xbox Game Pass entails, the service is available on Xbox One and Windows 10 devices and give you access to a catalog of over 100 Xbox One, Xbox 360, and original Xbox games. While you are a member, you can download full versions of any of the available games to your Xbox One to play. 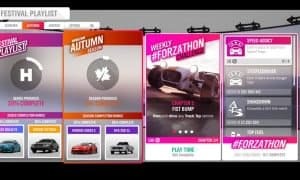 There are no limits to the number of games you can have downloaded at any given time, and games are added and removed from the catalog each month. 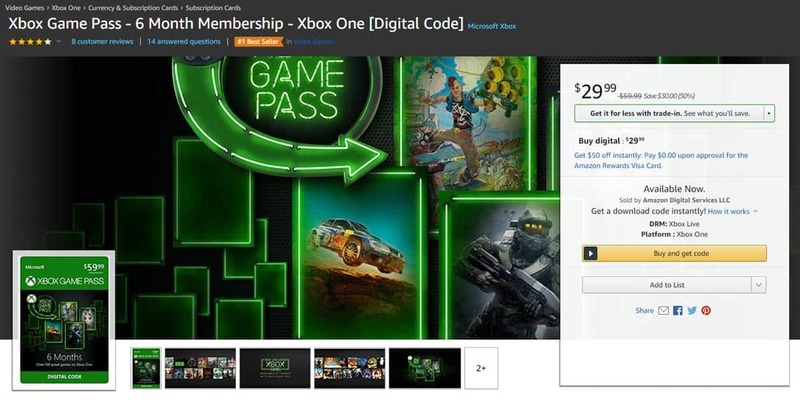 In addition, an Xbox Live Gold membership is not required to sign up for and use Xbox Game Pass, but it is required to play the multiplayer component of any games in the service. 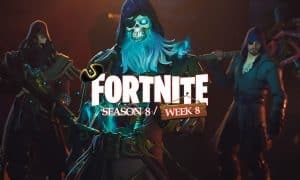 Since it’s launch last June, the service has seen a number of enhancements and improvements, including adding some original Xbox games to the service and also including Microsoft Studios-published games like Sea of Thieves and State of Decay 2 to the service on the day they are released. While the 50% off is a great deal, if you’re unsure of the service there is a 14-day free trial and Microsoft is also offering your first month for $1 during the annual Xbox E3 Sale. Personally, if you play a lot of games, six months of the service for $30 is a great way to play some new and older games you may have missed or want to finish up. What do you think about Microsoft’s Xbox Game Pass? Are you going to be picking up a 6-month Xbox Game Pass for 50% off? Let us know in the comments below or on Google+, Twitter, or Facebook.